Food for Thought! 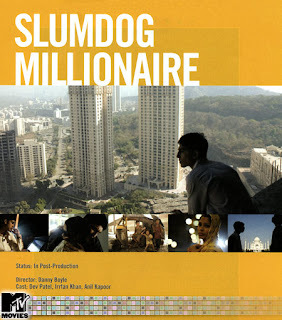 : Slumdog "Oscar" Millionaire! Slumdog Millionaire, no doubt one of the best movies made this year. I really liked the movie - the characters, individual performances, direction, cinematography, the flow of the story and the complete package. But was it worth 8 oscars, I doubt! "Success brings many relatives" goes apt with the movie. The movie is a British movie with how a guy from Indian slums goes on to win million rupees in a show, as a theme. It is not an Indian movie. The media has played bigger role in making movie big and making us believe that its an Indian movie. I disagree with people criticizing that movie has shown only grey areas and it has depicted India incorrectly. I believe has shown one of the many faces of India, which very much exists. India is too diverse with lots of shades. This movie happens to reflect the negative part. And the criticism makes me believe that the movie is really well made! If you try to look beyond the horizon, the movie might open avenues for foreign investors investing in redeveloping slums. India might get foreign help in relocating poor and less priviledged people. It opens a host of opportunities for the country. Congratulation to the Oscar winning team!!! Mr. Rehman you have made a nation of billion people proud. It was long due for you. Though I personally believe you have done a lot better work in some of the bollywood movies (Roja, Bombay to name few) than Slumdog Millionare!! !